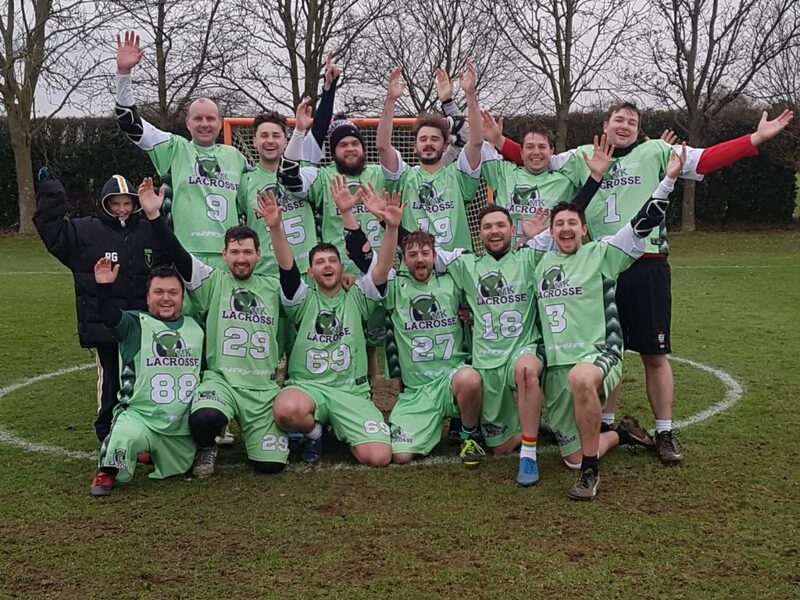 Milton Keynes are East Anglia Division 2 Champions following an 8-3 win over in Cambridge against the university Eagles team. It was a winner-take-all game with both teams level on points with 3 wins and 2 losses going into the 6th and final Local League game of the season. Local Leagues are new to the SEMLA calendar this season. The change was to introduce divisions with reduced travel and a reduced set of fixtures to encourage new teams to join, including University teams that just play BUCS lacrosse on a Wednesday. For the East Anglia Div 2, this brought in the University of East Anglia, alongside MK, Hitchin ‘A’ and Cambridge Eagles. It’s been a great competition with some close games. Yes, the standard is not top notch, but not every team can play to the level of a Hampstead or Hillcroft. (*) Hitchin A were unable to fulfil two fixtures so did not receive 2 losing points for 2 games. After a slow start with neither team able to breach the goal in the first quarter it was the home team who scored first. Milton Keynes then started to find some rhythm and played better lacrosse as the game wore on. It was great to have Eliot back in goal after missing the first two games in January. He also nearly scored which would have been fantastic but someone had to be voted DoD today and Eliot sneaked it by one vote as he did miss the target when he romped up field plus did let in a semi soft goal. Man of the match was Ben Amos for a faultless display at the face-off and all around play. He repeated his dominance in the middle from last week against UEA, winning all but one of the restarts today. It’ll be interesting to see how he fairs against the likes of London Uni and Welwyn 2’s in the coming weeks as we finish off the last 6 games of the East (North) SEMLA League season. Finally a shout to Paul Nichols with his first competitive lacrosse goal which is celebrated with style(‘ish).